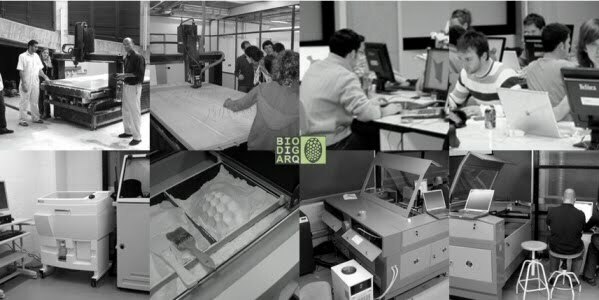 The Master's Degree in Biodigital Architecture at the ESARQ-UIC approaches the study of architecture from biological and digital perspectives. Within the context of the Genetic Architectures Research Line in ESARQ, this postgraduate programme pays special attention to new digital-cybernetic and ecological-environmental architectural design, to develop concepts like genetic and generative, emergence into natural and digital world, bio-mimesis, bio-learning, etc. Experiment with genetic motor software, evolutionary processes, emergent systems, algorithms, parametrics, scripting, etc. The latest technologies provide new production possibilities (data-driven production, CNC, 3D printers), leading to non-standard architectural formulations that resemble genetic principles (variation, mutation, hybridization). Rhino, RhinoScript, Grasshopper and RhinoCAM are the main software tools used at this Master. Last year I had apply for this Master and was accepted. Then mid of December when I asked the UIC to sign some documents they inform me that the master suddenly was canceled, because of administration/official issue (ECTS). And I have lost a year of my career. This year they are offering the master again, I have gain information from the UIC, And they inform me that IF there is enough applicants they will continued with the master, if not the master will be canceled again like the last year. So what they told me last year about the issue with the ECTS points was just a lie. So I dont recommend this master given by the UIC because there is no certainest and no guaranty from this bad organisation.